I’m already gearing up for my next round of conventions – San Diego Comic-Con, (I hope! ), Convolution, Professor Mondo’s Dangerworks Conclave, RT Booklover’s Convention and a special, no work/no panels day at Baycon with my daughter. I am the luckiest off all cosplayers on earth, because while I don’t sew, my mom does – she also knits and is a whiz with a hot glue gun. On the plus side, this means that I do not have to make my own stuff. On the down side, this means that yes, my mommy does still dress me even though I am an adult woman. Today is a foggy day, I’m behind on everything, and Mom and I are going to the yarn store, so I’m taking a break from reviews and deep thoughts to give you some sneak peaks re future costumes. Somedays one feels less like thinking deep thoughts and more like playing dress-up. This is one of those days. Mom and I love the coat, hat, and bag, but the dress underneath never fit quite right. 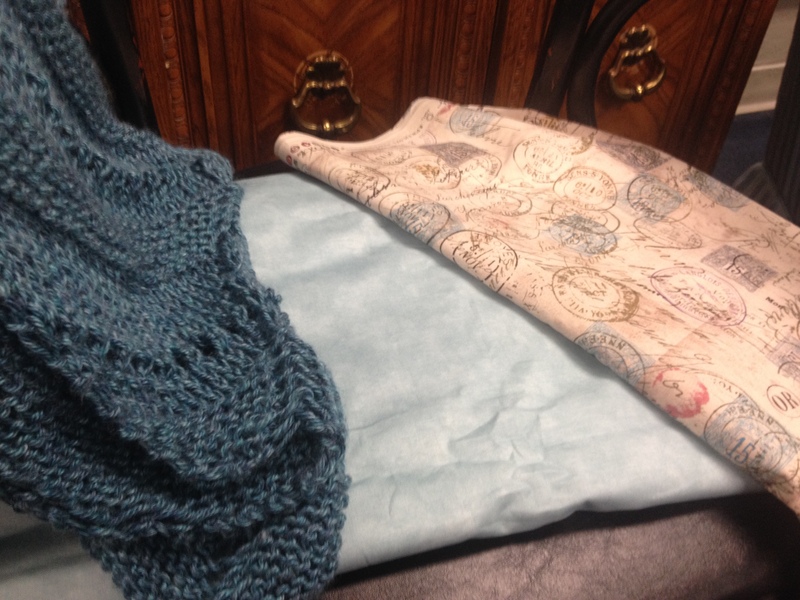 So she’s making me a new dress with a knitted shawl for Regency Cosplay and a Steampunk themed wrap for Steampunk cosplay – put on my trusty Steampunk hat and my octopus jewelry and I’m there! I have a new pet that can ride on my shoulder. 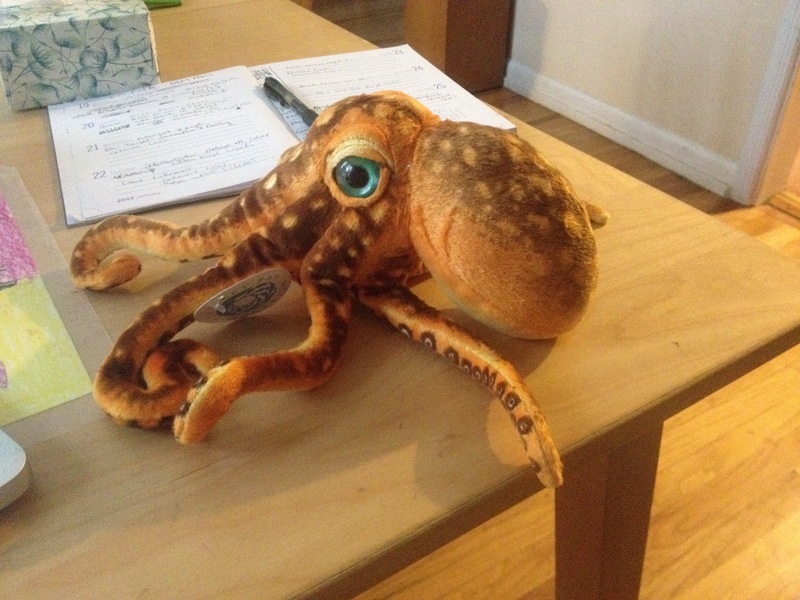 He followed me home from the Seaside Resort of Lyme Regis, where he escaped from Mary Anning’s shop. He wants to flop around on my desk and advise me regarding manners and marriages. Can I keep him? I have to make him a steampunky leash. I am taking name suggestions. And what might this yarn and tights and fascinator grow up to be? 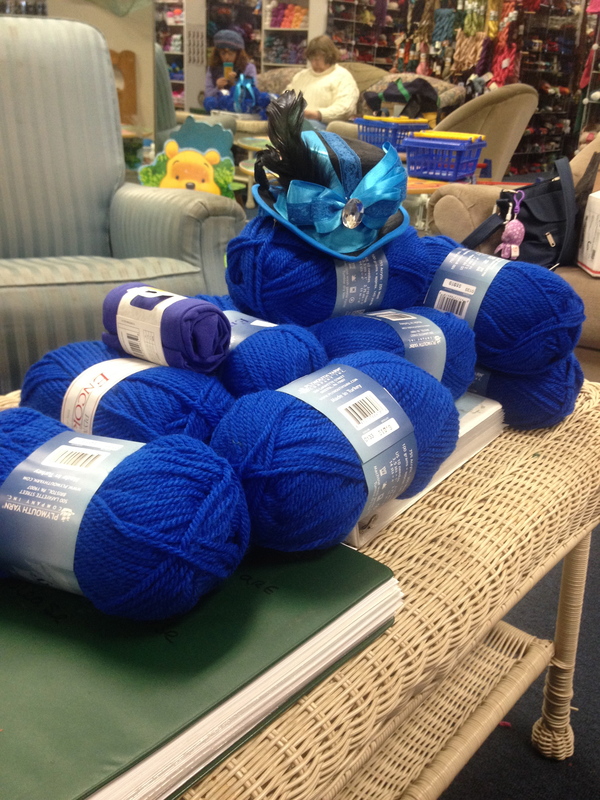 Might the yarn become a TARDIS shawl that matches a Doctor Who dress from Hot Topic? Am I allowed to wear Doctor Who cosplay even though I’ve hardly seen any of the new Doctors (I’m a Tom Baker girl)? Why yes, I am! Perhaps a better question might be, “Am I allowed to shop at Hot Topic even though I’m above the age of twenty?” Yes, but only to buy the geeky stuff. I’m pretty sure that’s a rule that’s posted on the door. This concludes todays’ dress up. Comment, and send pic of your craft projects in the making, whether cosplay related or not. In this wintery weather, nothing is better than looking at yarn. 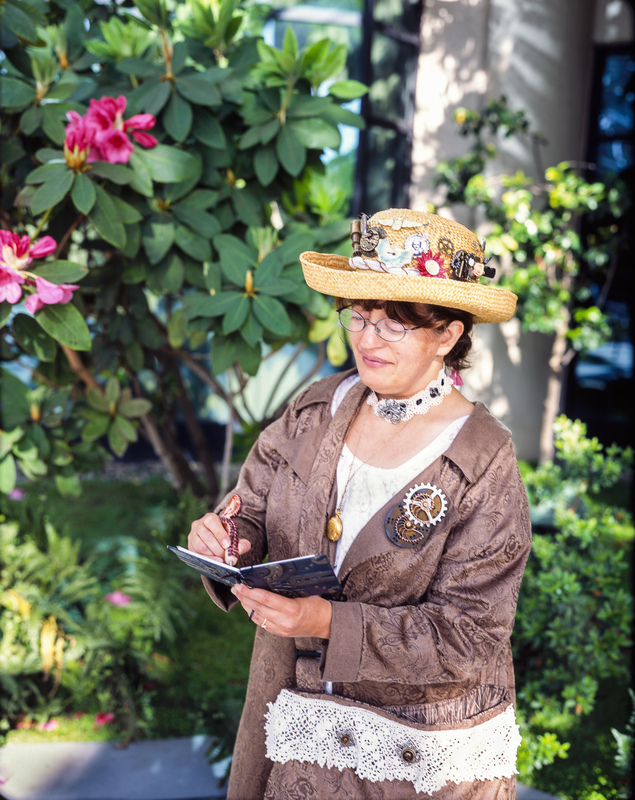 This entry was posted in Blog News and tagged Cosplay, crafts, knitting, sewing. A small disagreement: *playing* with yarn is even better than looking at it. But I may be slightly biased.